We already know that Sony is readying the Xperia Z5 and Z5 Compact, but now it appears that a third handset is in the works. An image of what is claimed to be theXperiaZ5+ has leaked online, but you'll probably have to squint to make it out. The purported image of the Xperia Z5+ broke on Weibo, giving us our first look at the super-sized version of the Xperia Z5 for the very first time. None of these handsets have been officially confirmed by Sony, of course, but we think September's IFA event is when they'll launch. As for the talking points, we can see from the leaked snap that the Xperia Z5+ follows a similar design ethos to the Xperia Z3+. There also appears to be an option of three colours: Black, Gold and a new Chrome colour. 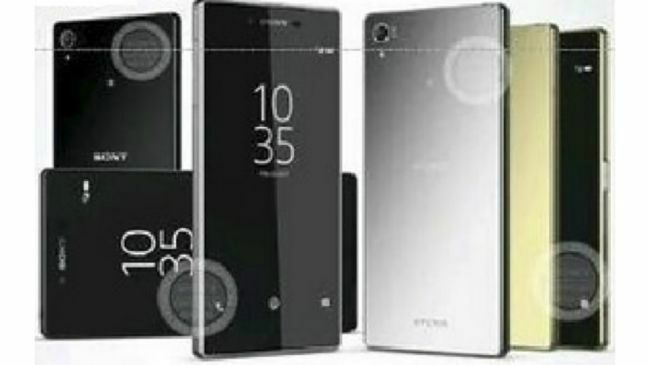 Despite the low resolution image, the handset appears to feature the same fingerprint scanner on its side as the Xperia Z5 and Z5 Compact leaks revealed. Specs-wise, the grapevine suggests we're in for a Quad HD (1440 x 2560 pixel) screen and the Snapdragon 810 powering everything under the hood. Chances are, much like the iPhone 6 and iPhone 6 Plus, the Xperia Z5+ wont differ too much in terms of specs and appearance from the core Z5. If you're sat there wondering why Sony has skipped the Z4 altogether, that's because the phone we know as the Z3+ was released in Japan back in April as the Z4. Don't ask us why, it just was. Sony has a lot riding on its Xperia Z5 line-up. The Xperia Z3+ was better than the Z3, but only just. Sony needs to knock it out of the park and bring something new to the table in order to pose a serious threat to other looming phones like the iPhone 6S and the new Nexus.